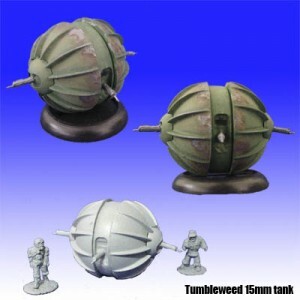 RAFM Miniatures has a new Tumbleweed Tank up on their website. A unique Prototype tank from the 1920's the Tumbleweed was never built, until now! One tank per package supplied unpainted. 15mm miniatures shown for scale, not included.